Maurice Margarot, the son of a wine importer from France, was born in Devon in 1745. 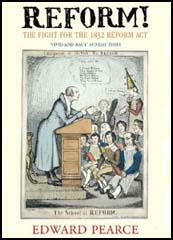 His father held radical political opinions and had been involved in the campaign to free John Wilkes from prison in 1769 and was a member of the Bill of Rights Society. Educated at the University of Geneva, Margarot was living in France during the French Revolution. Margarot moved back to England and joined the recently formed London Corresponding Society. In May, 1792, Margarot was elected chairman of the organisation. In September 1792, Margarot and Thomas Hardy , secretary of the London Corresponding Society, travelled to Paris to attend the National Convention of France. At the meeting Margarot argued that a triple alliance of people from America, France and Britain would "give freedom to Europe and peace to the world." At an open-air meeting held at Chalk Farm on 24th October, the London Corresponding Society elected Margarot and Joseph Gerrald as its delegates to the Edinburgh Convention planned for November. Before they left London, Margarot and Gerrald heard the news that two of the leaders of the Scottish Reformers, Thomas Fyshe Palmer and Thomas Muir, had been arrested and charged with sedition. Margarot and Gerrald arrived in Scotland in November 1792. They attended several meetings before they were arrested on 2nd December 1793, with William Skirving, secretary of the Society of the Friends of the People. At his trial, sixteen people gave evidence that they had heard Maurice Margarot make seditious comments at the convention. Margarot made a four hour speech in defence of his actions. When he had finished, Lord Braxfield, the judge, commented that "I would not allow you to be interrupted. If I had been a stranger I would not have heard one third of what you said, which was sedition from beginning to end." Margarot was found guilty and sentenced to be transported for fourteen years. 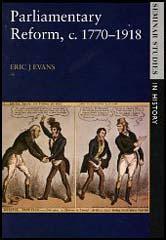 In February 1793, Margarot, William Skirving, and two other men arrested in Scotland and found guilty of writing and publishing pamphlets on parliamentary reform, Thomas Muir, and John Fyshe Palmer, were placed on prison Hulks on the Thames in preparation for their journey to Australia. Radicals in the House of Commons immediately began a campaign to save the men now being described as the Scottish Martyrs. On 24th February, 1793, Richard Sheridan presented a petition to Parliament that described the men's treatment as "illegal, unjust, oppressive and unconstitutional". Charles Fox pointed out in the debate that followed that Palmer had done "no more than what had done by William Pitt and the Duke of Richmond" when they campaigned for parliamentary reform. Attempts to stop the men being transported failed and on 2nd May 1794, The Surprise left Portsmouth and began its 13,000 mile journey to Botany Bay. While the ship was at sea, a group of convicts, including Joseph Fyshe Palmer and William Skirving, were accused of being involved in a plot to kill the captain and crew. Later, Palmer wrote a pamphlet accusing Margarot of exposing the plot to the captain. However, an investigation carried out by Francis Place, found that there was no evidence to support Palmer's accusations. Soon after arriving in New South Wales, Maurice Margarot was joined by his wife. As a political prisoner Margarot enjoyed more freedom than other convicts and was allowed to establish a small farm. Margarot objected to the way that military officers controlled trading in New South Wales. He became very unpopular with the military when he wrote a letters to Parliament complaining about this profiteering. In August 1804 Margarot was arrested and charged with being involved in a rebellion that had taken place at Castle Hill, a penal colony about 20 miles from Sydney. Philip Gidley King, the Governor of New South Wales decided to deport Margarot to Van Diemen's Land. Margarot was given twenty-five lashes but according to Charles Throsby, the commandant of the colony, he continued to make political speeches urging rebellion. Maurice Margarot was finally released on 7th April 1810. By this time, the other five Scottish Martyrs, Joseph Fyshe Palmer, William Skirving, Joseph Gerrald, Thomas Muir and George Mealmaker, were all dead. After raising the £450 to pay the cost of transport, Margarot and his wife travelled back to England. Margarot continued to be involved in the struggle for parliamentary reform. This included writing a pamphlet Thoughts on Revolution (1812). Margarot also joined the campaign to end transportation. In 1812 Margarot gave evidence to the Parliamentary Committee looking " into the manner in which sentences of transportation were executed and the effects which have been produced by that mode of punishment." In the last few years of his life Margarot and his lived in extreme poverty. Former members of the London Corresponding Society, Thomas Hardy and Alexander Galloway, made attempts to raise money for Margarot and his wife. Maurice Margarot died in a poor hospital in St Pancras, London on 11th November 1815. In 1845 Thomas Hume, the Radical MP organised the building of a 90 feet high monument in Waterloo Place, Edinburgh. It contained the following inscription: "To the memory of Thomas Muir, Thomas Fyshe Palmer, William Skirving, Maurice Margarot and Joseph Gerrald. Erected by the Friends of Parliamentary Reform in England and Scotland." On the other side of the obelisk, based on the model of Cleopatra's Needle in London, is a quotation from a speech made by Muir on 30th August, 1793: "I have devoted myself to the cause of the people. It is a good cause - it shall ultimately prevail - it shall finally triumph." (1) A document published by the London Corresponding Society that was written by Maurice Margarot in January 1792. (1) That every individual has a right to share in the government of that Society of which he is a member, unless incapacitated. (2) That it is no less the right than the duty of every citizen, to keep a watchful eye on the government; that the laws, by being multiplied, do not degenerate into oppression; and that those who are entrusted with the Government; do not substitute private interest, for public advantage. (3) That in consequence of a partial, unequal, and therefore inadequate representation, together with the corrupt method in which representatives are elected; oppressive laws, unjust laws, restrictions of liberty, and wasting of the public money, have ensued. (2) Henry Cockburn was fifteen when he saw Maurice Margarot during his trial in January 1794. I was sitting in school in the High Street, when I saw a crowd coming out of the Parliament Close, following a little, black, middle-aged man, who was put in a coach, from which the people proceeded to take off the horses. The crowd drew his coach in triumph to his lodgings in the Black Bull. I ran alongside the carriage, and when I could get near enough, thought it excellent entertainment to give an occasional haul. Margarot is well known as a troublesome character. As Margarot's body cannot bear the punishment he has so often merited, and the contagious principles he professes are disseminates are so destructive a tendency, I have sent him to a settlement at Coal River. If Margarot deserves punishment, you will cause it to be inflicted as far as twenty-five lashes, and work him at public labour. With regret, but without surprise, I hear you say your spirit is broken. Believe me, however, you are mistaken in this; it only sleepeth. The storm-beaten mariner does not therefore foresake the sea, but refreshed only awaits a favourable breeze to again unfurl his sails. Maurice Margarot was of middle stature and had been handsome in his youth, was well-proportioned, full of pleasantry and anecdote, with elegant manners - a scholar and a gentleman. Age and care had made havoc with his appearance, but the lively and intelligent spirit still shone through it; and we understand it was so unsubdued to the last, that on the verge of the grave, he was meditating a history of his life. Mrs Margarot, who went with him into exile, shared his prosperity and his adversity, who admired his accomplishments, had loved him kind and generous, and had clung to him to the last, is now poor and desolate. It is now necessary to make her wants known through a medium like this. They should be known, in order to be relieved.